1. Inner Peas: Weston adores these! They're made from whole green peas, they're crunchy and a little salty, and just plain yummy. Perfect for the whole family, including toddlers! They're around $1.50 per bag, and I pick up a bag per week and put them in little Tupperware containers for snack time. 2. Chocolates: Mostly organic, Trader's carries bars of chocolates that are delectable! I always stock up on these for stocking stuffers at Christmastime and fun additions to gift bags for friends and family. The "Birthday Cake" chocolate bar is famous in it's own rite. 3. Organic Coconut Oil: One of my top 5 favorite products of all time. I use it for cooking, for hair care, skin care, baby care, etc. I have one container upstairs in my bathroom area, one downstairs in the pantry, and I also buy the little packets Trader's sells for all our travels. Invaluable in every way! 5. Cereal Bars: My little one's current favorite breakfast food. He adores these and won't eat any other brand name cereal bar. 6. Fruit Sauce Crushers: Another toddler favorite around here! They offer a variety of yummy flavors and little ones adore these. They are a great value for a pack! I don't eat them now, but when I was pregnant with Weston, I craved these and had one pack daily. 7. White Tortilla Chips: These chips really will make you feel like you're in your favorite Mexican restaurant! They have a hint of limey salt and we adore these, especially because they hold up really well for dipping guac! 8. Sriracha Hummus: Literally uhhhhmazing! 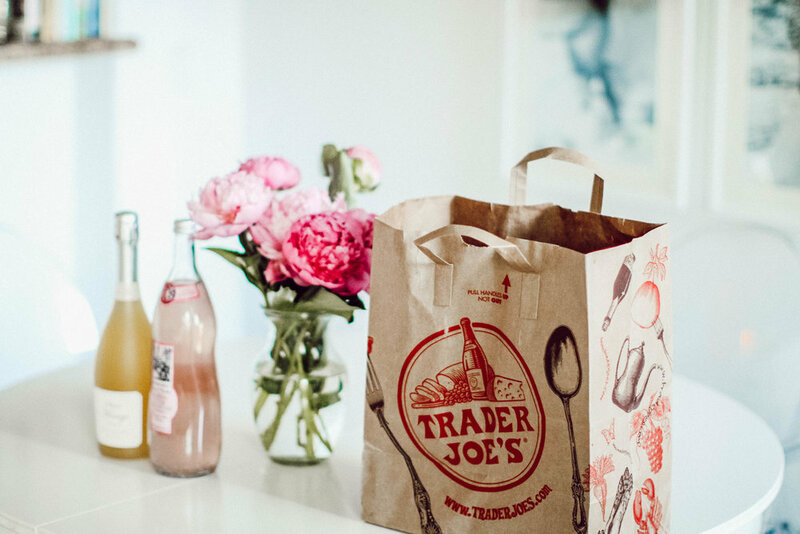 A Lebanese blogger I follow says she is extremely picky about hummus but her favorite is Trader Joe's brand. We always buy a regular one each week (they're under $3) and sometimes I'll add this one in, too... the taste really pops and it is a mouth-watering version of the favorite flavor that Sriracha is! 9. Dark Chocolate Covered Honey Grahams: These are Daniel's absolute favorite treat! He's got a bit of a sweet tooth and he munches on these after every dinner. The sea salt on top brings out the chocolate flavor beautifully, and gives these a little gourmet flair! 10. Spindrift Sparkling Water: Yummiest sparkling water that actually can substitute for sugary soda, with no added sugar/ingredients involved! Raspberry Lime is my go-to flavor. 11. Shaved Brussels Sprouts: I just love these!! I just recently noticed them in the Trader's produce section and they're brilliant -- pre-washed, pre-cut, and so yummy -- I love adding these to a salad or frying them up in some olive oil/garlic/salt/pepper a super easy side dish with dinner! 12. Almond Butter Granola: My boys love love love this stuff. I'm not a granola fan, but they devour this (and the TJ's Peanut Butter version too) like it's the best thing on earth! And funnily enough, every single time we have an out of town friend/family member visit, they adore it too, and want to go to TJ's to grab their own bag to take home! Perfect atop smoothie bowls and yogurt. 13. Greek Coconut Cream Yogurt: Daniels' favorite! He says it "tastes just like a tropical island and sunscreen" ;) haha -- sounds good to me! 14. Frozen Rice: The organic and brown rice version are both staples for us. So easy -- the rice comes frozen in packages (perfect for serving 2 people and a toddler), cooks in 3 minutes in the microwave, and turns out beautifully. I love to service it alongside baked lemon salmon and a vegetable. We use this several times per week! Gotta make life as easy as possible, especially when you're a mom. 16. Goddess Dressing: I discovered this through a dorm-mate in college and have loved it since. Decadent and unique! 17. 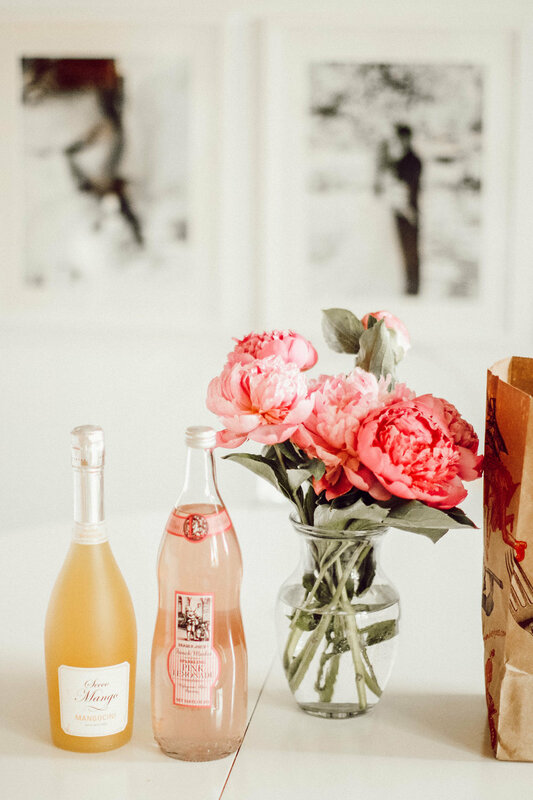 Prosecco: These are so fun, especially for summer! 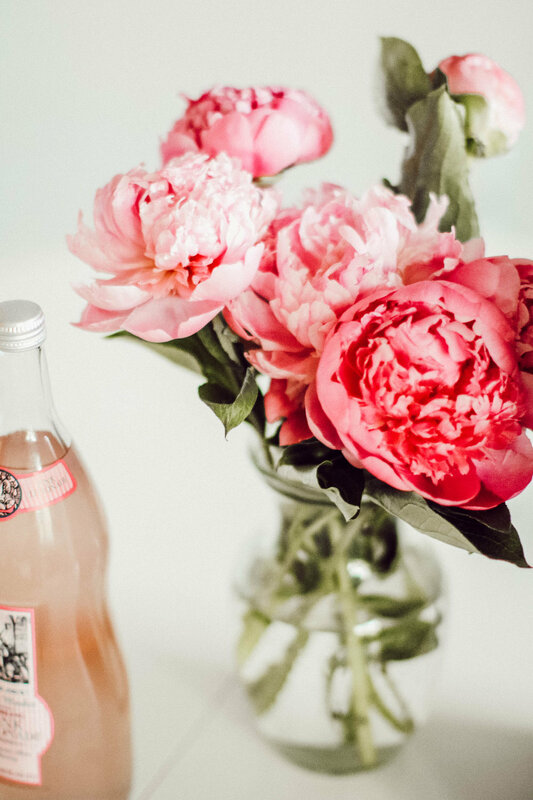 The perfect entertaining drink to serve at a summertime BBQ. I love the fun, fruity flavors! 18. Blue Cheese Dressing: I pick this up every now and then (especially in the summertime) and it's perfect for salads, burgers, etc. I have so many more favorites, so I think this will be a continual series! What are your TJ favs?